The Third Mansion, the third stage, is what’s called mature friendship. Now our spiritual life is well-regulated. It’s well-ordered; we’ve been around the block spiritually a bit, we know where the pitfalls are and understand what it means to stay on track. We’ve picked up and we’ve learned a lot along the way. Spiritual foundations have been laid. There is the practice of discipline, what the classical tradition calls mortification and penance, the desire to learn and grow in the things of God, especially prayer and meditation, and we also have an active life of charity. One is involved in some kind of service, some kind and giving of ourselves. It doesn’t necessarily have to be formally at the parish as a Catechist, Lector, or Eucharistic Minister. There’s some kind of gift of giving of myself on a regular basis. The person acknowledges prayer now not simply as one of petition when in need, or for one’s own consolation, but prayer becomes a daily necessity for the battle of life. There is a renewed vigor, initiative, and longing of the soul. In other words, by this time, attendance at Sunday Mass is no longer enough. 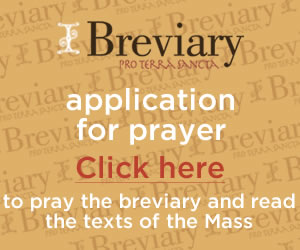 Daily mass becomes almost a necessity. We desire to attend prayer groups, retreats, days of recollection, and we consecrate our lives to God in a renewed way. All of this becomes very important, and we not only want to turn to the heart of God in a renewed way, but to belong, be united and bound to the heart of God. For this reason, in this stage of the Third Mansion, people start to seek to belong to groups like the (Secular) Order of Discalced Carmelites, the Third Order, confraternities, and that kind of thing; religious vocations and holy marriages come from this third stage. Some of these thoughts are collected, not verbatim, but collected from Father William Wagner, as part of the website, Opus Angelerum. Part of this mature friendship is a well-regulated spiritual life, which means a good moral life. One is consciously, carefully avoiding the sin, not only mortal sin of course, but including venial sin. One is actively, conscientiously putting one’s best foot forward. We become very aware of venial sin, and it becomes very important for us to it. That was the positive. On the other side of the proverbial coin, now the other side, the predominant faults of people in the Third Mansion are hidden in the sight of others. People don’t see the faint faults of people in the Third Mansion. People are not necessarily committing sin by deliberate actions or living a double life. The predominant faults are mostly in the thought life of the person, in the thought life. What does that look like? – criticizing others, being very harsh in our judgment of other people, easily scandalized by other people’s thoughts when they’re not as holy as you would expect or want them to be, becoming easily scrupulous, often times of spiritual things, complaining. One of many favorites from St. John of the Cross is spiritual gluttony. Spiritual gluttony can be understood in different ways. For instance, ‘I no longer have an addiction to shopping for fashion, but I have an addiction to shopping for rosaries and Catholic books and movies; it’s never enough. I always have to have the next best picture of our Blessed Mother and then my house is full of statues because I just can never have enough. Spiritual gluttony is about always wanting to collect and have these sense consolations. Also in this stage could be gossip. Gossip is a tricky thing because it’s such a slippery slope. For example, I could start off saying something very pious like ‘Oh, let’s pray for this person and let me tell you why we need to pray for this person.’ And you go way more into detail than you need to, and without intending to, because of that going back and forth, you can easily spiral away into gossip more than it is concern for the soul. One of the practical boundaries in checking ourselves and making sure we don’t slip into that, is the question ‘Would I say this in his presence? Would I say this if he were right behind me? Would I say this if this was being recorded and he or she would hear it?’ That is always a good test in regards to watching what we say. Another fault in the Third Mansion is jealousy of other people’s spiritual gifts, subtly seeking’s ambition, wanting to be the Formation Director, wanting to be on the Council, wanting these positions of authority or prestige. It’ not that those positions are bad but as Saint John of the Cross would say, it’s the desire for them, when we want them – that’s not a good sign. One of the remedies to get us out of these kinds of mental knots is to remember that it’s not all about you. We can easily get stuck in ourselves.